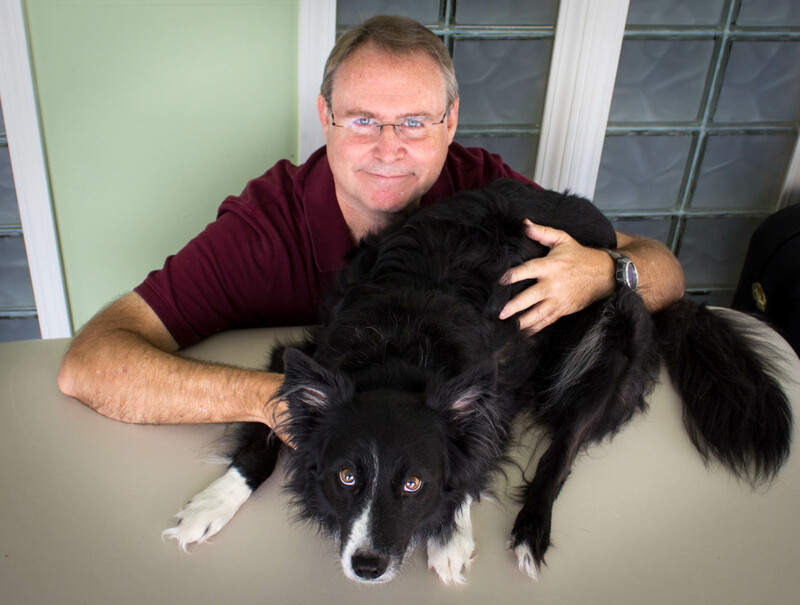 Ken Bain is a Texas Licensed Massage Therapist and Massage Therapy Instructor, specializing in trigger point therapy for both humans and canines. Ken is a graduate of the Texas School of Massage, the Institute of Trigger Point Therapy, Pet Massage in Toledo, OH, and Massage Awareness in Wellington, FL. He is a member the International Association of Animal Massage and Bodywork (IAAMB) and the Associated Bodywork and Massage Professionals. Ken trained and competed with canine athletes for over 15 years and understands the toll these sports take on the dogs’ bodies. He has been providing bodywork since 2003 and based his practice almost exclusively for the human and canine competitor. Along the way, he has had the opportunity to spend time with multiple animal physical therapists and rehab veterinarians. His practice currently shares many clients and office space with a pain management & rehab certified veterinarian in Houston and a rehab certified veterinarian in San Antonio, TX. Ken was a featured speaker at the 2009 and 2011 IAAMB Educational Conferences. In 2010, Ken started teaching workshops for the canine competitor and canine massage therapists passing on a wealth of information gained over 10 years of practice. Ken Bain will be teaching his 3-day canine massage workshop, “Massage for the Canine Athlete”. This workshop was developed for the canine massage therapist that wants to get into the world of competition dogs. The workshop will focus on a massage routine that was developed after many years of working on the canine athlete. Some of the topics that will be covered include: 1. How to safely stretch the canine athlete, 2. Evaluating range of motion to determine areas that need special attention, 3. Typical trouble areas of the canine athlete, 4. Introduction to trigger point therapy, and 5. Putting it all together into a massage routine that most effectively addresses the needs of the canine athlete. Every participant will be allowed to bring a well-behaved dog which will be used during the hands-on portion of the workshop. You will also receive a personalized notebook with over 130 pages of information and photographs illustrating the techniques discussed in the workshop. As a canine massage therapist, you can take your practice to a whole new level by working events such as agility, Frisbee, and flyball competitions. These dogs need your help, and with this workshop you’ll learn the tools to provide such a service.